The band’s long-awaited return at the Showbox was met with a rapt, adoring crowd. 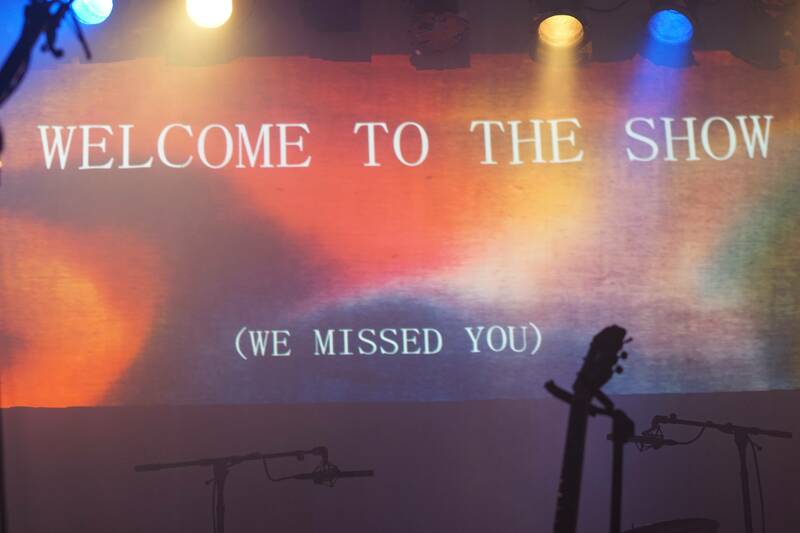 Amid the heavy chatter filling an already packed room, the words projected from behind the stage at the Showbox on Friday only added to the audience’s anticipation as they waited for Fleet Foxes to take the stage. As the friendly note faded, another appeared, requesting no filming of any kind. It was a tough request, given that Fleet Foxes’ most recent show in their hometown was in 2011—the first stop on their Helplessness Blues tour. Back again, tickets sold out within minutes of their release in March, forcing some desperate Seattle fans to purchase tickets for their remote Spokane show, where the same “no filming” request was made. Nevertheless, it didn’t stop anyone from flipping out their phones to snap the very moment front man Robin Pecknold, holding a cup of tea, walked onstage. His interactions with the crowd were limited to quiet “Thank you”s and a sheepishly delivered joke about Costco’s Kirkland Signature brand that was… hard to understand. But what Fleet Foxes lacked in conversation, they made up for with a show that left everyone speechless at multiple moments throughout its two hours. During the opener, three unreleased songs from the new album Crack-Up, “Arroyo Seco,” “Cassius,” and “Naiads,” the room was quiet to take in the band’s classic mountainous vocals, pastoral strings, and breezy tones. Not completely quiet, though. As if Seattle had been practicing for this moment during the band’s six-year hiatus, they echoed the chorus of “White Winter Hymnal” perfectly. Despite the sing-alongs, the crowd’s appreciation for Fleet Foxes’ angelic voices never faltered, allowing the band to finish the sweet final notes of every song. The members didn’t reveal much about themselves because it was obvious they were completely focused on the task at hand, letting their skills speak for themselves. Casey Wescott and Morgan Henderson switched among keyboard, organ, flute, tuba, mandolin, upright bass, and harmonium, and Skyler Skjelset took a bow to his guitar. Every song was a crowd-pleaser. With one final mumbled thank you from Robin, the band bowed out.